Time Frame 240 min = Expires Time 1440 min. Trend indicator: I-High Low Middle indicator. 2) The price is above green line of I-High Low Midlle indicator. 2)The price is below green line of I-High Low Midlle indicator. 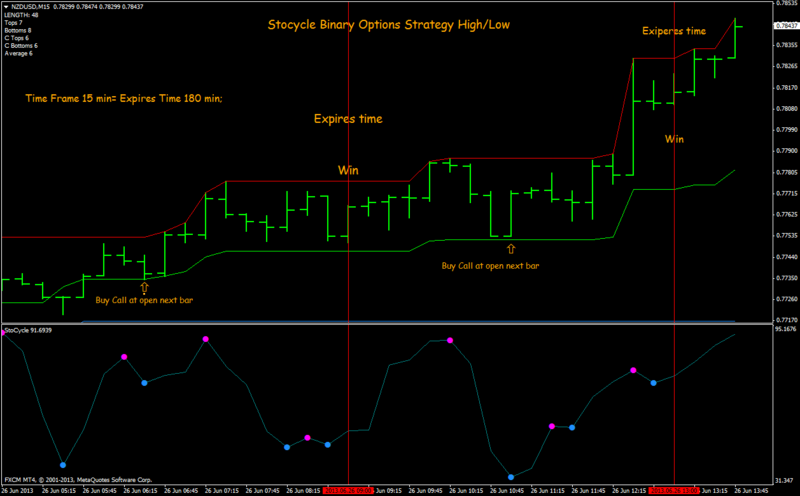 In the pictures below Stocycle Binary Options Strategy High/Low in action. The Same Rules for Stocycle Binary Option Strategy High/Low but addiding a target indicator. 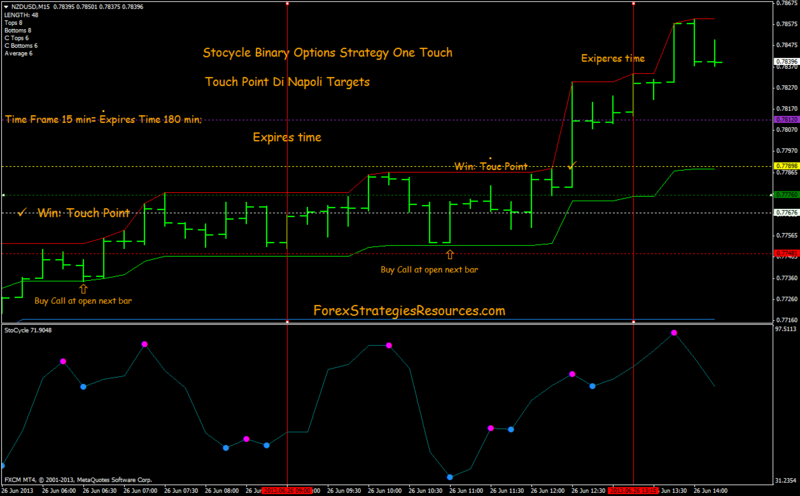 The Target indicator is: Di Napoli Targets. Place an expired order at the Dinapoli Targets indicator.